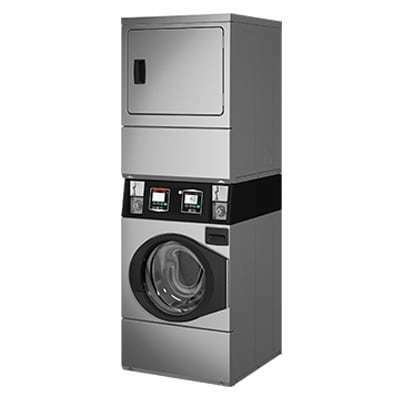 Our stack coin operated washer/dryers are designed as vertical combinations that provide all of the power of Speed Queen® washers and dryers while occupying only half of the floor space of a conventional washer and dryer setup. Plus, these stacked units allow you to utilize the same connections and hook-ups required by a standard washer and dryer, so you won’t have to make changes to your installation. Available in 21.5 lb and 18 lb washer and dryer capacity.